We are absolutely thrilled to be featured in Perfect Wedding Magazine for July 2017 issue. 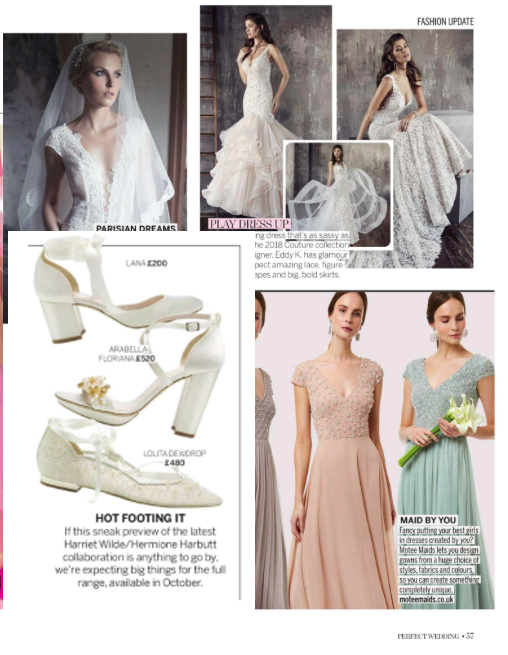 Our brand new collaboration with our favourite bridal shoe designer Harriet Wilde is featured in this month's issue and we cannot wait to see our lovely brides' wearing them. So dreamy! Thank you so much!